Hey, readers. 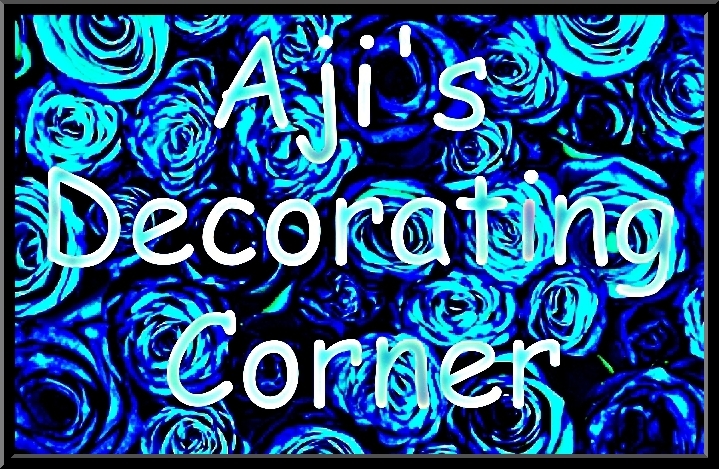 Welcome back to Aji's Decorating Corner. If you read my previous post, you'll know that I recently moved. Most of my bedroom furniture made it here in one piece. The only items that took some damage were the shade on my small lamp and my dresser. 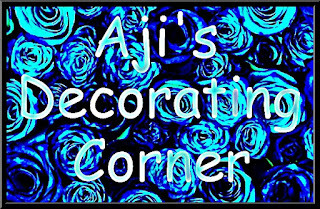 In this post, I'll be focusing on the dresser. When it was being moved, some of the black paint on it got scrapped off and some white paint also got scrapped onto it. I honestly have no idea how the white paint got there. Originally, I was going to get some black paint and touch-up the damage. However, after taking a step back and looking at it, I saw that the dresser now had a cool distressed look. So, I decided to leave the front and sides as is. However, the top of the dresser just looks like a cat scratched it up. The good news about where I'm living is that there's a dollar store right down the street. So, I went there and picked up a roll of patterned contact paper. The edges of the paper didn't come out as neatly as I wanted. Maybe I could use washi tape to cover those parts up. Or something else. An idea will come to me sooner or later. For now, the top of the dresser has been taken care of. Next on the to-do list is finally getting around to replacing the old drawer pulls with the glass ones that I got for Christmas. Til next time.